I’m liking these social networks recognizing the role that early adopters play in supporting & growing the company. 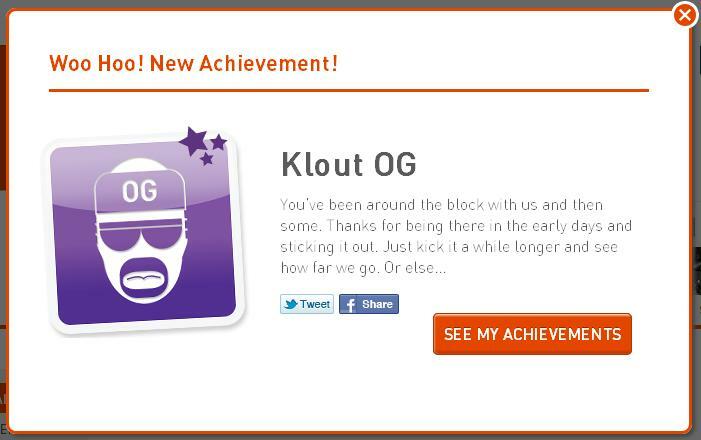 I just received a little thanks / achievement notice from @klout. In March 2011, I received a lovely message [here] from Reid Hoffman, CEO of Linkedin, @quixotic, for being among the first 100, 000 out of 100 million members (I’m in the first 0.03% of members). Though – I think he could have created a stronger message, upped the game against Facebook and created long lasting buzz by giving the first 100, 000 members some stock options…. This entry was posted in influence, social networks and tagged 000 members, first 100, influence, joe fernandez, klout, linkedin, Reid Hoffman, rewarding early adopters, social reward, thank you on May 25, 2011 by Laurie Dillon Schalk.